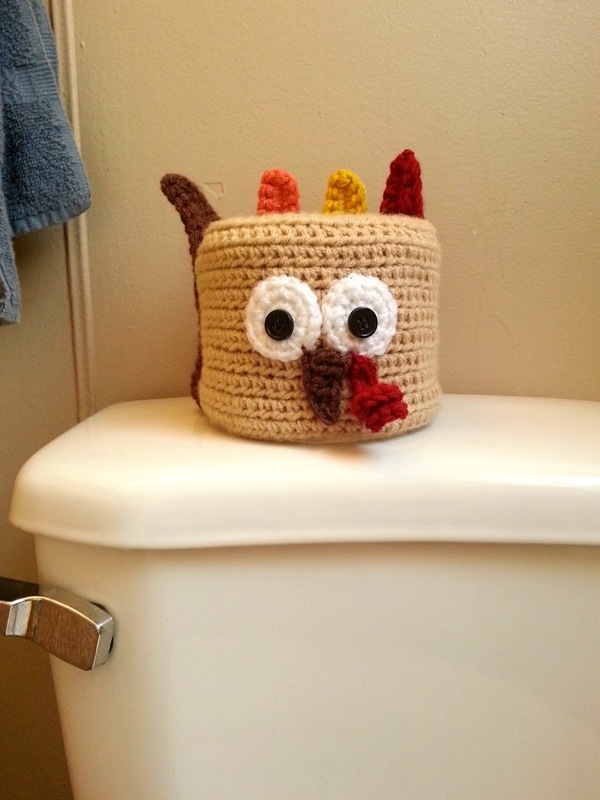 As a crocheter, I find it necessary to crochet my own home decor, especially for the holidays. 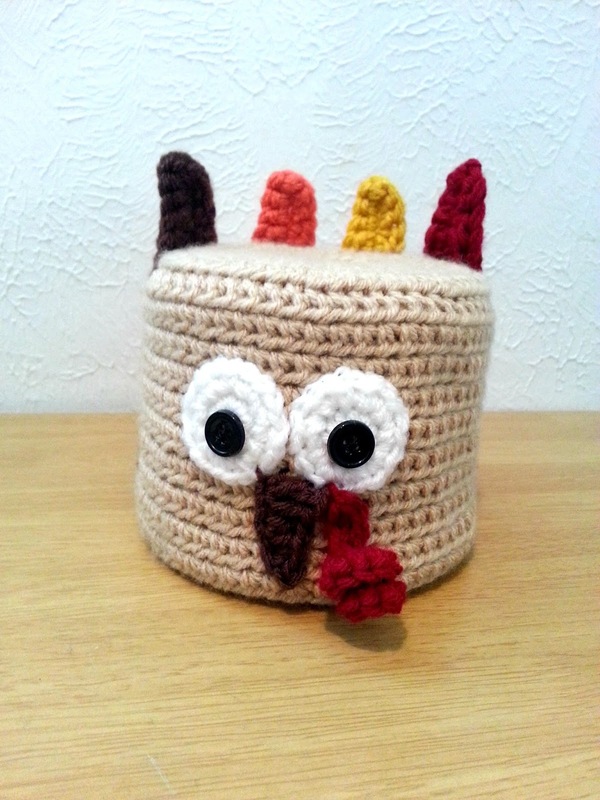 Not only is it fun to create things, I also end up with decorations that no one else has! We recently bought a new house and our powder room is rather plain. 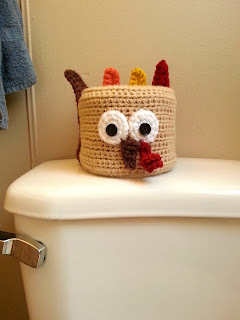 To jazz that room up a bit when I have my family over for Thanksgiving, I am definitely placing this turkey toilet roll cover in the powder room! 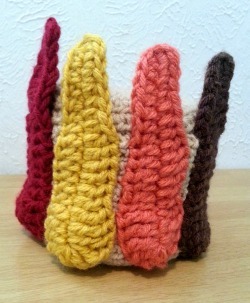 BLO - The upper part of a stitch has two loops that form a “V”. For HDC, yarn over and insert hook into the loop farthest from you. Invisible join - Join your rounds in the first stitch, NOT in the beginning chain. Start your rounds in the same stitch as the beginning chain. This will create an invisible seam. Crochet with 2 strands - Holding two strands of yarn together, make the knot that will go onto your crochet hook. Crochet as you normally would, holding both strands together, making sure you insert your hook through all 4 loops of the stitch in the previous row. This may take some practice until you get the hang of it, so have some patience and take your time. 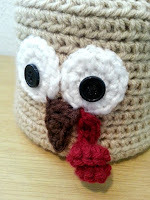 Making feathers - The easiest way to use two strands of yarn to make the feathers is to have two separate skeins of yarn. Trying to use both ends of one ball will only result in knots and a lot of frustration. Trust me, I’ve tried. If you don’t have (or don’t want to buy) two skeins of yarn for one feather, I do have a tip for you. Hold one end of the yarn between your index finger and thumb. Not pulling too tight, wrap the yarn around your elbow and bring it back up to your fingers. If you do this 8 or 9 times, you should have enough yarn to be able to create the feathers. And now onto the pattern! Using a tapestry needle, sew the face to one side of your cover. Line the feathers up along the opposite side of the cover and sew into place. 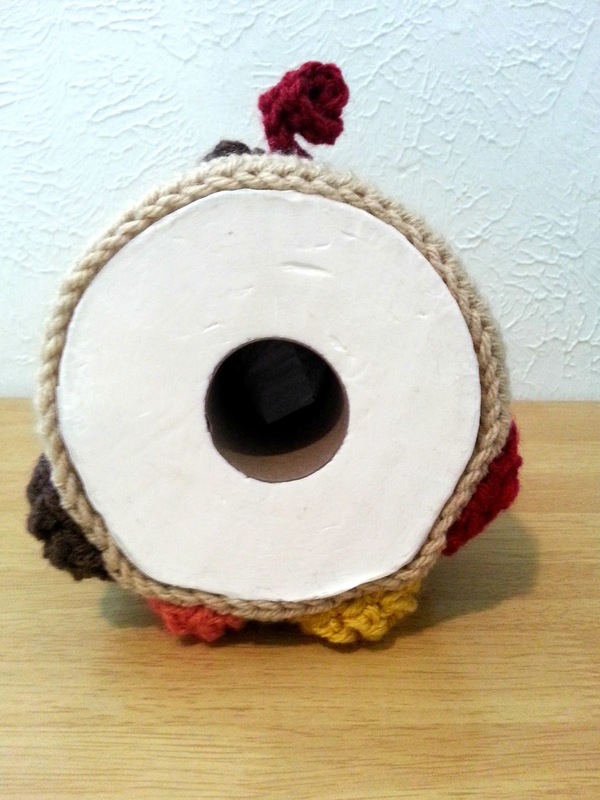 Weave in all your loose ends, cover a roll of toilet paper and enjoy your new bathroom decoration!